Five stories to follow as MotoGP comes back to the U.S. The only time I ever have a negative feeling about the words “summer vacation” is when it applies to the annual mid-year break in the MotoGP season. Not that the riders and crews don’t deserve a break — time to heal physical injuries and adjust the all-important mental settings for the second half of the year. But the four-week break between the German round and the second U.S. round, the Red Bull Indianapolis GP this weekend, is enough to induce withdrawal. Editor's note: Can't make it to Indy? The MotoGP, Moto2 and Moto3 races will be shown live in the United States on Fox Sports One. The MotoAmerica races stream live at Motor Trend On Demand. Fortunately, racing resumes in a matter of days. With half the season gone, here are five storylines to follow as the world’s best roadracers (this year accompanied by the new, domestic MotoAmerica series) come back to the Brickyard. Not that long ago, it was easy to imagine Valentino Rossi’s days of contending for a championship were gone. He lost two years riding an uncompetitive Ducati and then replaced his long-time crew chief, Jeremy Burgess. Breaking up the most successful pairing in MotoGP to bring in an outsider, Silvano Galbusera, from the Superbike world? The move carried a whiff of desperation. But you can't argue with the results. Since meeting Stan, the winner of the 2015 RevZilla Wish List Upshift Giveaway, and being photographed next to a RevZilla hi-viz staff T-shirt, Valentino Rossi has never finished a race off the podium. Coincidence? RevZilla photo. Rossi leads the championship, 13 points ahead of his teammate, Jorge Lorenzo. For a while, Lorenzo looked inevitable, reeling off four straight wins. 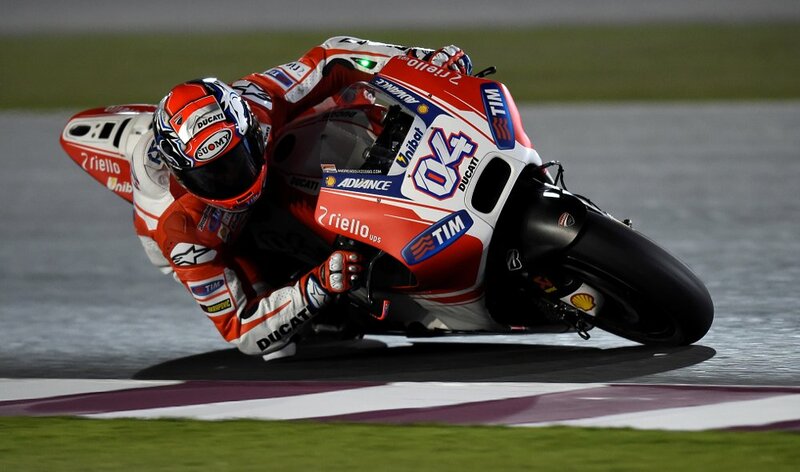 But Lorenzo’s high-corner-speed riding style requires a strong dose of confidence in the tires. When track conditions, temperatures and the composition of the Bridgestone tires come together to suit Lorenzo, he has been unbeatable this year. Otherwise, he usually finishes fourth. A championship would not make Rossi the oldest MotoGP or 500cc champion ever, but he would be the oldest in the modern era. The main reason it was impossible the last two years to imagine Rossi winning another championship was the presence of Marc Márquez and his Honda standing in the way. A title in his rookie year, followed by his 10-race win streak in 2014, and Márquez looked unbeatable. Sure, he could lose on any given Sunday. But a bunch of Sundays over the course of the year? It started to look impossible. Honda’s relentless pursuit of more power may have gone a step too far. The RC213V’s aggressive power delivery, engine braking and handling under braking place superhuman demands on the riders. David Emmett over at Motomatters wrote a good analysis using lap times and the number of crashes over recent years by all the riders on the RC213V to make a solid argument that the bike has been getting harder and harder to ride, something the riders have started to admit in carefully chosen words. Now, the RC213V is sometimes beyond even the supernatural talents of Márquez to control. Does that mean it’s a two-man Yamaha race for the title? That's conventional wisdom. Márquez is 65 points behind Rossi and 52 behind Lorenzo with nine races remaining. DNFs by Marquez and DNSs by Dani Pedrosa, due to his arm pump surgery, mean that only twin disasters in the Yamaha garage will give Honda a chance at a title this year. Of course disasters can happen. Twice this year, at Argentina and Assen, a thrilling race between Márquez and Rossi for the victory ended in contact. In Argentina, Márquez crashed. At Assen, both stayed upright after touching in the last corner, but Rossi motocrossed through the gravel for the win. Márquez has nothing to lose, now, and every incentive to go for wins. What will happen the next time fairings touch? The flip side of that is that Rossi is a smart racer — among the smartest, according to his new crew chief. He knows when the risk is not worth it. At Germany, he had the chance to try a late-race banzai push for second place, but settled for third, still ahead of Lorenzo, the main threat to his title aspirations. MotoGP today is a lot like the U.S. employment picture. On the surface, the numbers look good, but the deeper you dig into the details, the more doubts arise. Like low-paid baristas trying to pay off student loans, teams continue to have problems funding the cost of racing at the top level. The most glaring evidence will be the absence of the Forward Racing team at Indy. The team’s owner, Giovanni Cuzari, was arrested by Swiss authorities just after the German round last month and charged with money laundering involving sponsorship money. As a result, his and the team’s accounts were frozen and the team won’t be able to make the trip to the United States. The rest of the season is also in question. Stefan Bradl ended his contract with the team and jumped to the Gresini Aprilia team to replace Marco Melandri. Forward is not the only team to suffer sponsorship problems this year. 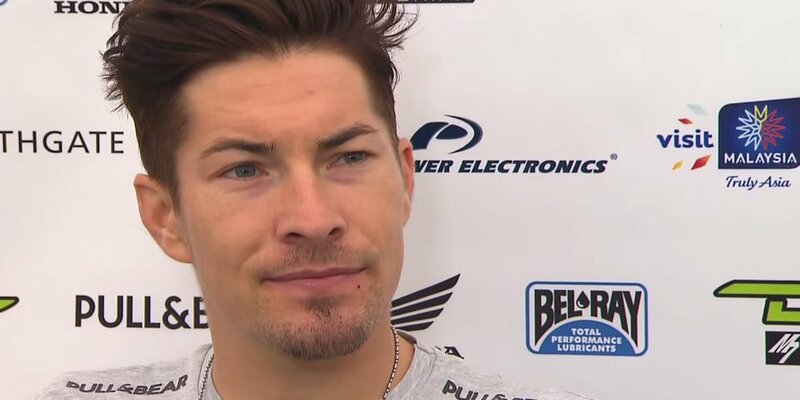 Just before the opening round, the Aspar team, which includes sole U.S. rider Nicky Hayden, lost its main sponsorship from Drive M7 energy drink, and LCR Honda lost its title sponsor, CWMFX, a foreign exchange trading firm, which was raided by authorities in London. It appears LCR got enough money in advance that the team, and riders Cal Crutchlow and Jack Miller, won’t be affected this year. Last U.S. GP for Hayden? Speaking of Hayden, there’s a lot of speculation that Indy will be his last U.S. grand prix, just as Indy was Colin Edwards' farewell last year. Given Hayden's age, questions about his surgically repaired right wrist, and the scarce number of seats available for 2016, it’s quite likely there will be no U.S. riders at the MotoGP level next year, and perhaps none in Moto2 or Moto3, either. Rossi-Lorenzo isn’t the only Yamaha vs. Yamaha title bout at Indy. The new MotoAmerica series also races this weekend, and the Monster Energy Graves Yamaha teammates, veteran Josh Hayes and up-and-coming Cameron Beaubier, are tied at 286 points. Hayes has eight wins, Beaubier has six. Josh Hayes, left, has four AMA Superbike titles. His young teammate, Cameron Beaubier, is hungry for his first. Nobody else has won a race this year. Yamaha photos. The good about MotoAmerica’s first year: There’s a huge pool of good will that Wayne Rainey and his partners who are running the series have been able to tap, and there’s more optimism surrounding U.S. superbike racing than we’ve seen in many years. The not so good: Grids remain weak, one team has won every race, and only one other rider, Roger Hayden on a Yoshimura Suzuki, has been able to come close to the top two. The series still has a long way to go to complete its comeback from its near-death experience under Daytona Motorsports Group management. I’m already packing my saddlebags for the ride to Indy. See you there?